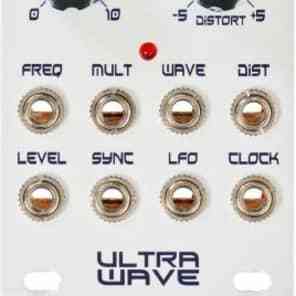 Ultra Wave is a fully expanded version of the Wave Runner LFO. 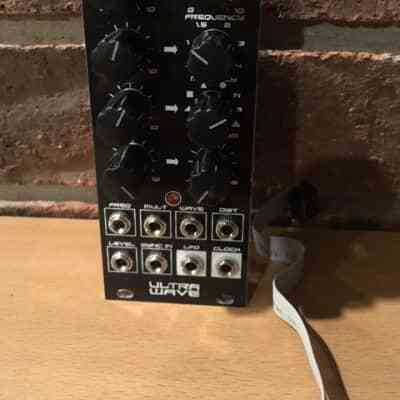 It’s a multi-waveform sync-able LFO based on the Electric Druid TAPLFO2D family of code, but with some significant additions and improvements. 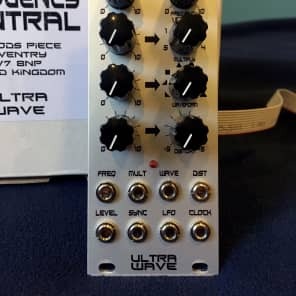 The WAVERUNNER 1 PIC and code is exclusive to Frequency Central and was developed specifically for the Wave Runner/Ultra Wave, and is not compatible with similar modules. Ultra Wave has both manual and CV control of frequency, clock multiple, waveform and wave distortion. Additionally there’s sync input and output level CV input. Two outputs, LFO and clock.